NRSC 2018 | What happened & when? 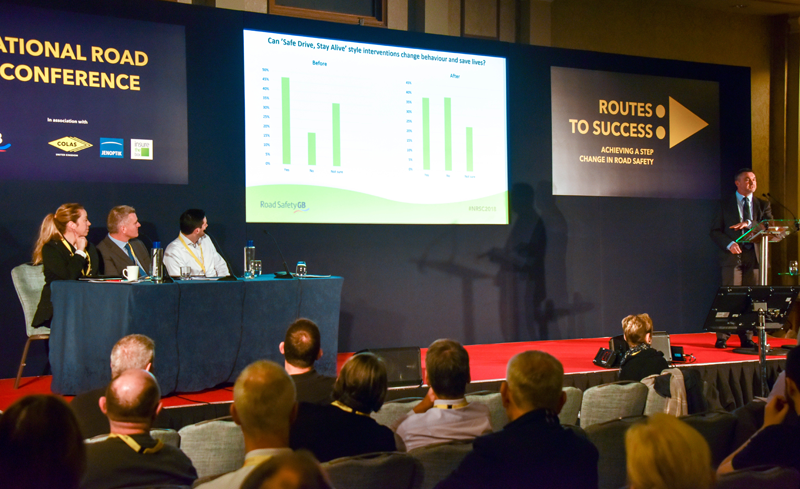 The 2018 National Road Safety Conference, the 10th edition of the annual event, took place at The Grand in Brighton on 27-28 November. • Hot topic: Can ’Safe Drive, Stay Alive’ style interventions change behaviour and save lives? The 2018 Fringe programme will comprise two or three sessions running in tandem with the main programme. One of these sessions will focus on ‘road safety interventions that didn’t work’, in which presenters will share the results of schemes that could be described as ‘less than successful’. ‘Pick my brains’ is an optional session at the end of the first day in which experienced road safety practitioners will provide advice and help on a small group basis. Delegates need to register in advance and we are limiting each session to a maximum of 10 participants. Note: all of the places on all of the workshops have now been reserved – there is no further availability. The National Road Safety Conference is organised by Road Safety GB, a national organisation that represents local authority road safety teams from across the UK. The 2018 National Road Safety Conference will be held at The Grand in Brighton on 27-28 November 2018 – with more than 330 delegates set to attend over the two days.